I have been around fetes and fairs for almost 12 years now, but you never really know what it takes to run one until you help run one from the start to the finish. This year I helped on the committee for my children’s school fair for the second time. It was interesting to confirm many of the things we had seen over the years that we had deemed keys to success were actually accurate. It was also interesting to see that the simple and obvious things, which are often so easily overlooked for that reason, are key to fundraising success. Here are the top 6 things I learnt (or had confirmed) from helping run my own school’s fair. This falls under the “it’s so obvious it’s often overlooked” category. If you are planning on running any area of the fair yourself, from chocolate wheel to sideshow to food stalls, get as much of it donated as you can. You might have to supplement with buying some good stuff too, but if you can get the bulk of it without outlaying any money then you will raise so much more from the event. Setting up a great sponsorship package for local businesses can make a huge difference. Never directly ask for an amount, instead offer a range of packages. You can start off with donations in kind (see above) of up to $200 as your base package and build from there. Our top package this year (only available to one business within the community) was $5000 and it was taken. Don’t underestimate what businesses are willing to donate if you do a good job of recognising their efforts and following through with your promises. Stay tuned for some more in depth information in my sponsorship post coming soon. Everyone wants to make their event bigger and better than the last committee did, but we have found that there is a tried and true formula that works from tiny state schools to large private schools. 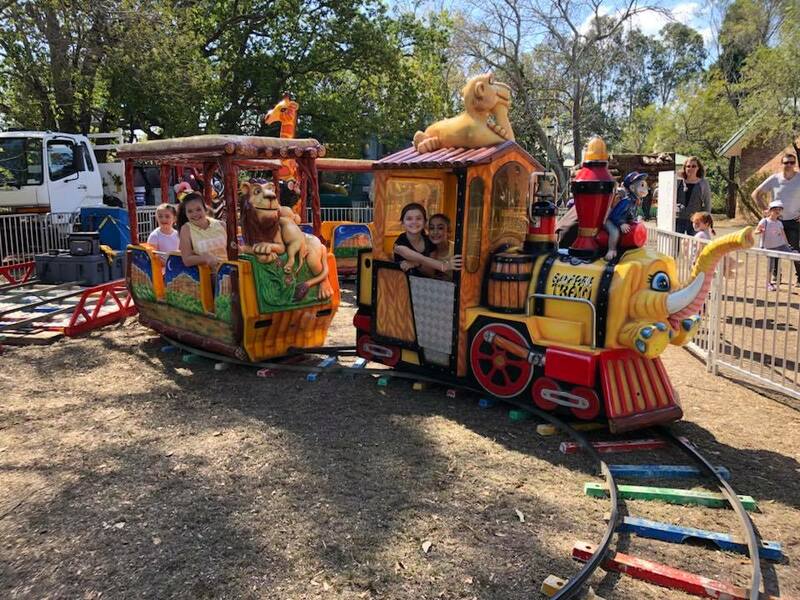 Get in great market stalls, run your own food stalls (if you have the volunteers), invite community performances, and (of course) hire amusement rides that suit your schools age groups and presell wristbands. The presale of wristbands is one of the key components to ensuring attendance, no matter the weather on the day. Don’t be afraid to advertise your event. Particularly within your school community. Get the students to organise things before the day (think tombola or raffle tickets). Set up a Facebook page and let everyone know what they can expect from the day. Let them know what your committee is up to during all stages of planning (it might just help with getting volunteers next time). Put up signs, if you’re allowed, around your local area. If there are any other forms of community communication you can utilise, make sure you do. Don’t let people tell you they didn’t know it was on. This is both your school community and your local area. Set up a roster with small time frames for parents to volunteer to man a stall. That way they don’t feel tied to a big commitment on the day, and you have more families obliged to come no matter how they feel when they wake up that morning. Offer many different ways that people can contribute in small ways. It will help lighten your volunteer’s load, and make people feel personally invested in the days success. Invite local performance groups to showcase their talents on the day. This way you have families from other schools committed to attending your event. Invite local preschools to come along as well. Use some creativity to see how many community groups you can get involved to boost your attendance from outside the school. Find a way to thank everyone involved in your event’s success. People only do things when they feel appreciated. Tell everyone on your Facebook page who helped out on the day. Shower your committee and other volunteers with thanks. Make a big deal of anyone who gave you donations or sponsorship. Tell everyone what was contributed to the event and thank the contributors personally, with either a letter or a card. This way you may make your job finding volunteers, donations and sponsors for the next event a whole lot easier. I hope these tips will help you with planning your own fundraising event. If you need any more information, or have any questions you need answered, call us on 1300 CAMELOT.